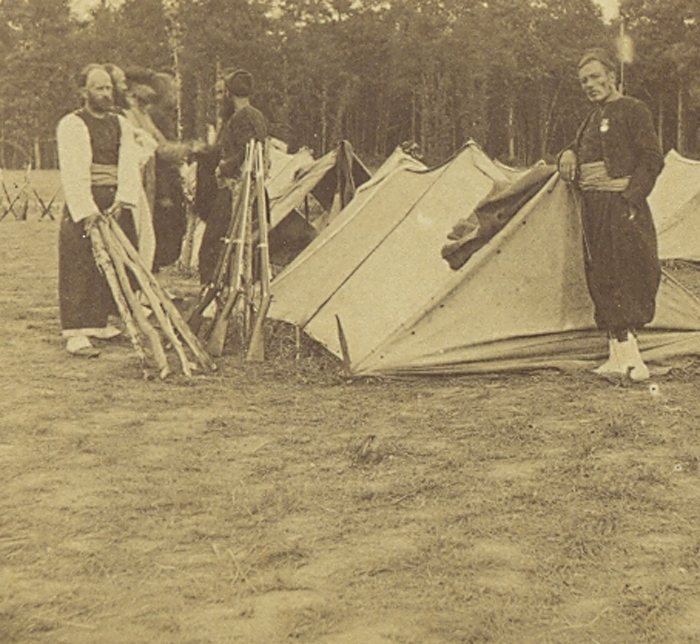 Zouaves in relaxed off-duty wear: Callot, shirt, veste and trousers worn outside the gaiters. 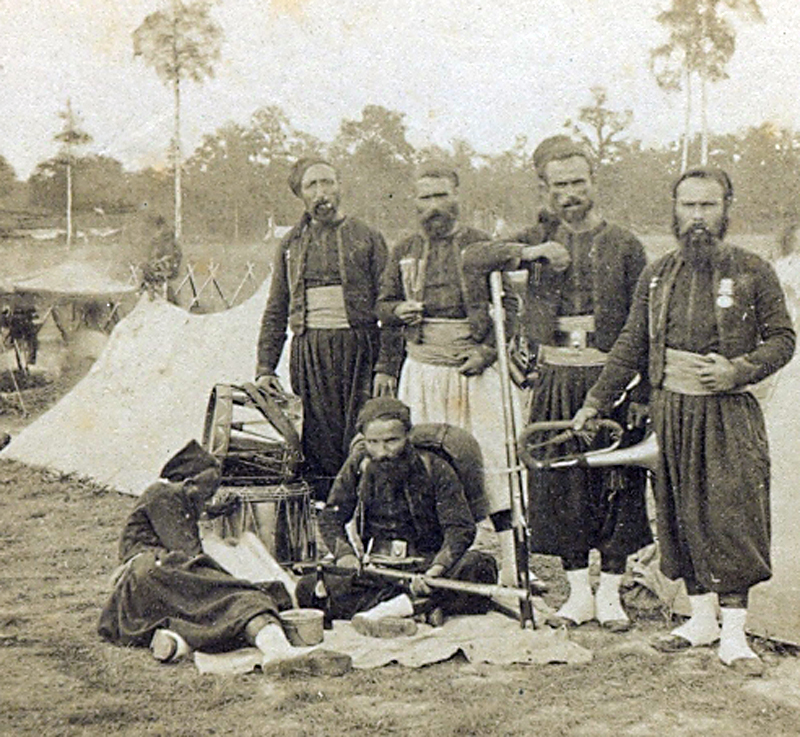 Buglers and Drummers of Zouaves; the Bugler on the right is wearing the British Crimean Medal with two (possibly three?) clasps. Interestingly despite Zouaves of the Line having, in theory, a belt which fastened with a buckle, two of these Zouaves are wearing belts with plates bearing flaming grenades - a feature of the Imperial Guard. 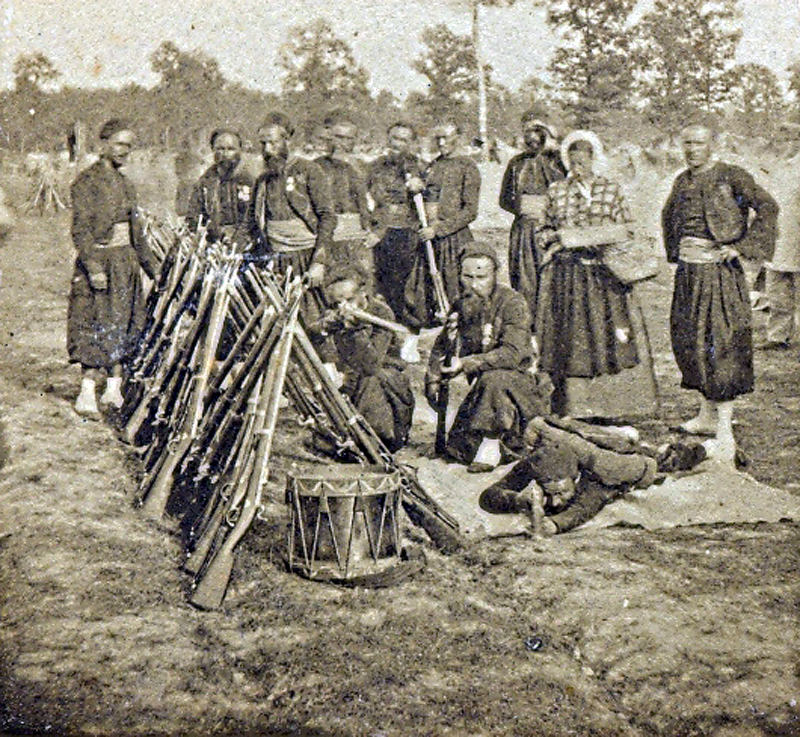 Zouaves with piled arms; at least four of them are wearing the British Crimean Medal. Also note the Cantiniere wearing a very loud checked shirt. 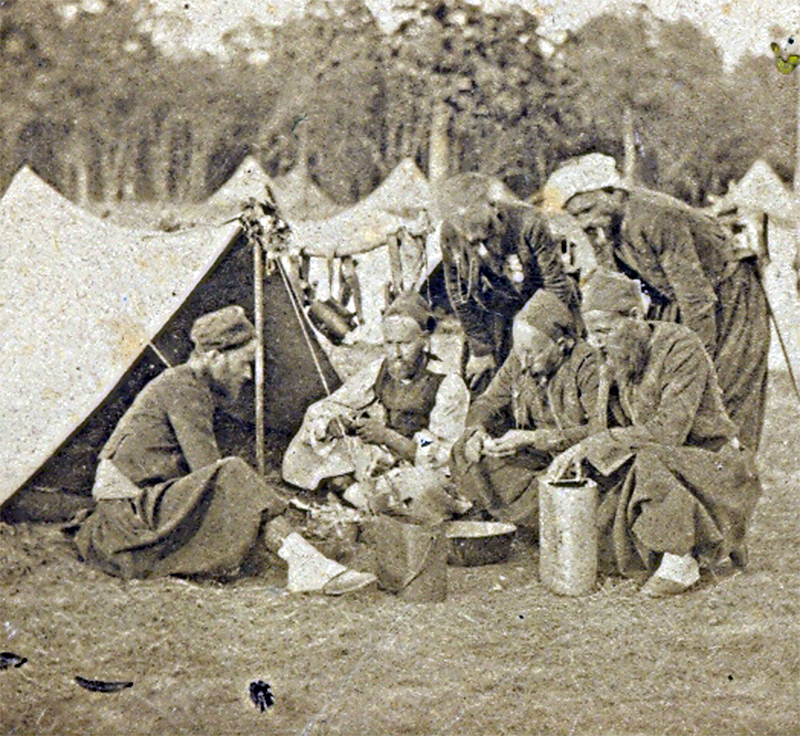 "…Habitually each individual has usually his allotted functions, being those for which he has a special aptitude; one looks after the wood and the fire, another the water and the cooking, making the coffee, a third pitches the tents and so on." The first one is very interresting! the use of the third and fourth shelters to close the "tunnel" remain the same use during US civil war! Yes. Its something the soldiers write about in their letters home. The British tried to copy the Tentes d'Abris by using muskets and blankets (they didnt quite work). Note the parallel trenches where the men have stacked arms. Maybe dug to mark a fixed place to form up or to aid stacking. I have read of another case where a cantiniere wore regular women's clothing when not on parade. This was seen in the allied fleet going to the Crimea.